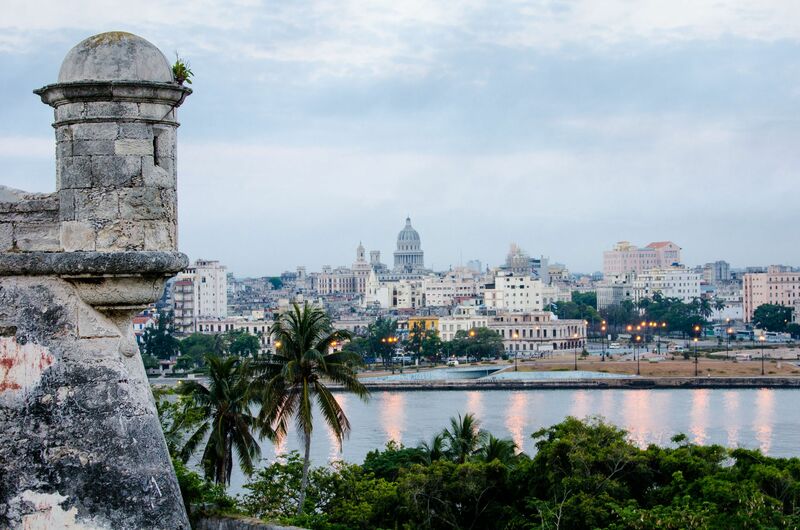 Havana, population 2.2 million, is the third largest city in the Caribbean . 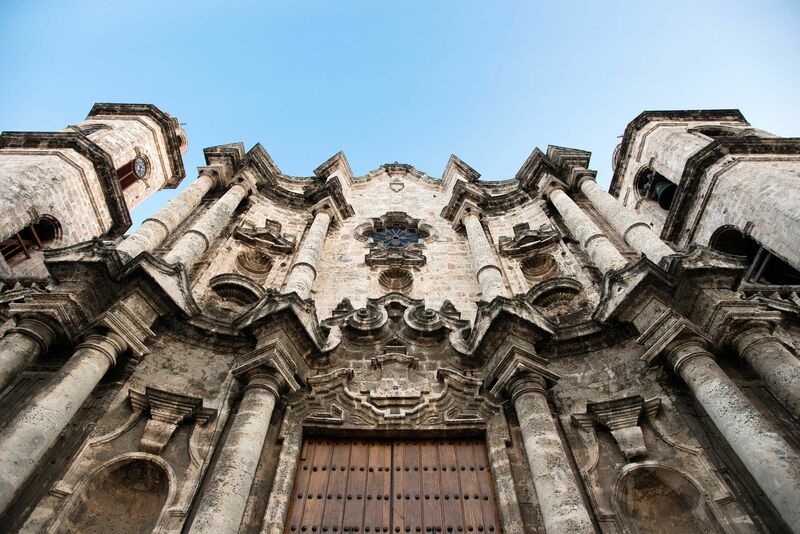 This 18th-century cathedral once housed the remains of Christopher Columbus. The European-style boulevard was completed in the mid-19th century. 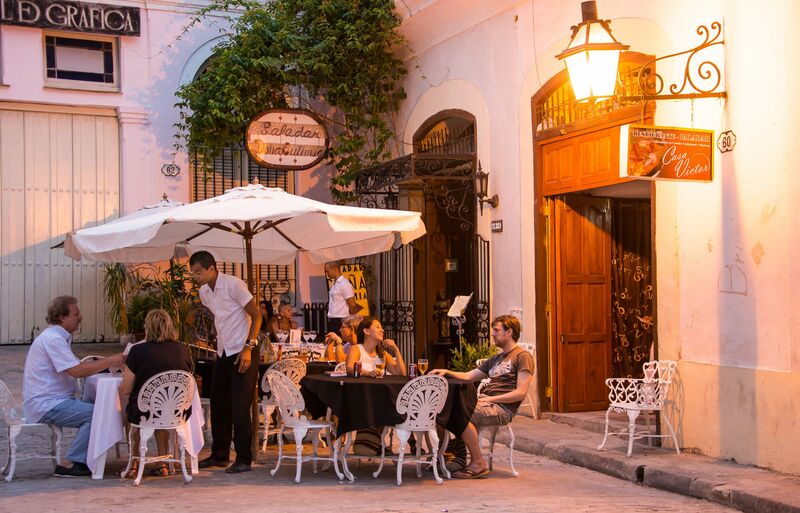 This popular paladar attracts many patrons in Havana's Old City. 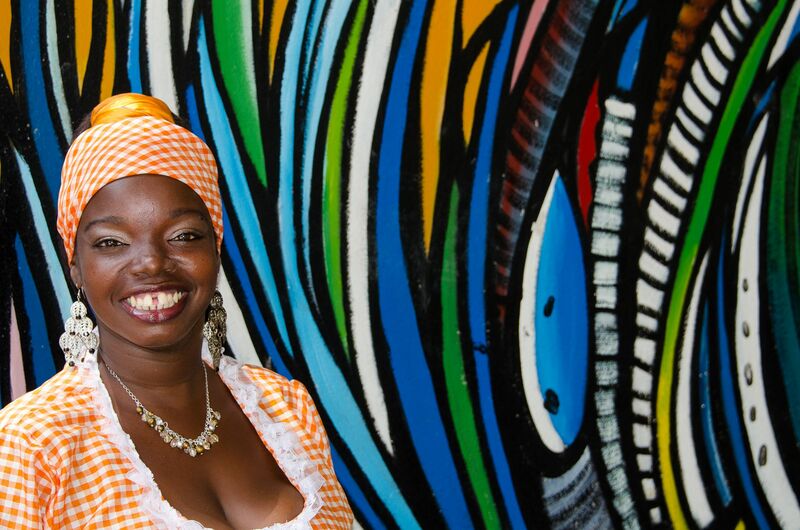 Beautiful Cuban women love shopping in Havana's Old City. 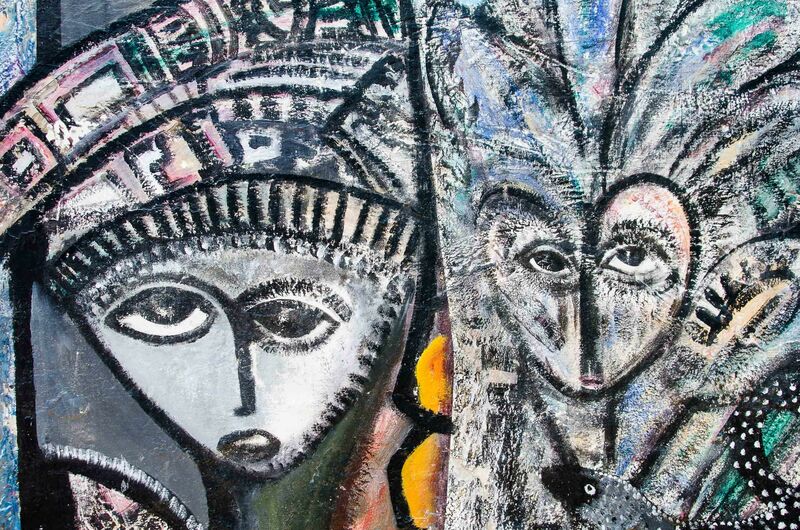 Artists show their work in both galleries and on the streets. 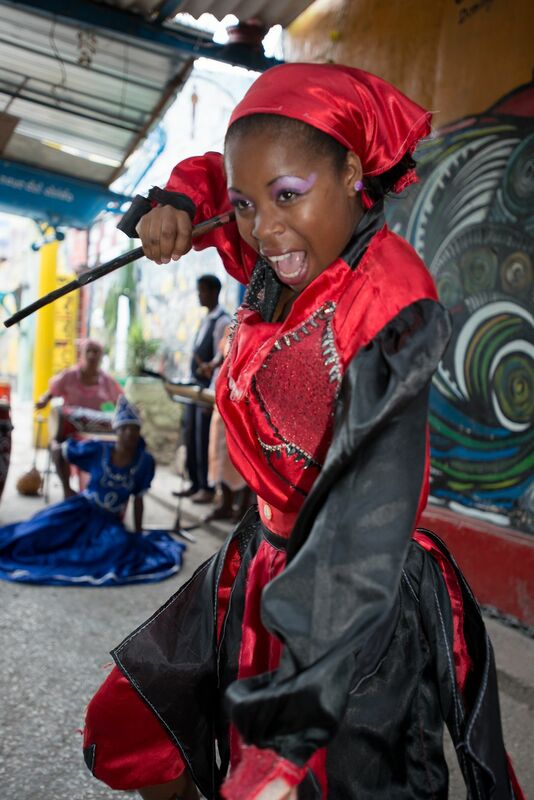 Santeria, meaning "worship of saints," is an Afro-Cuban syncretic religion of Caribbean origin. 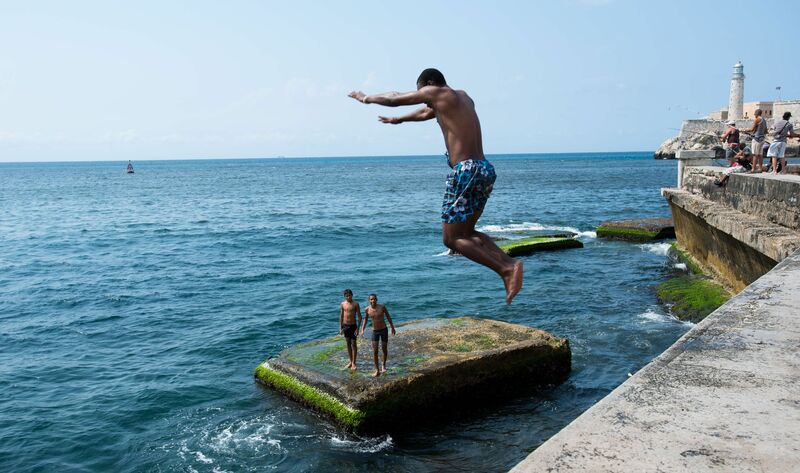 Swimming and socializing are popular along Havana's Malecón, the city's seaside promenade. 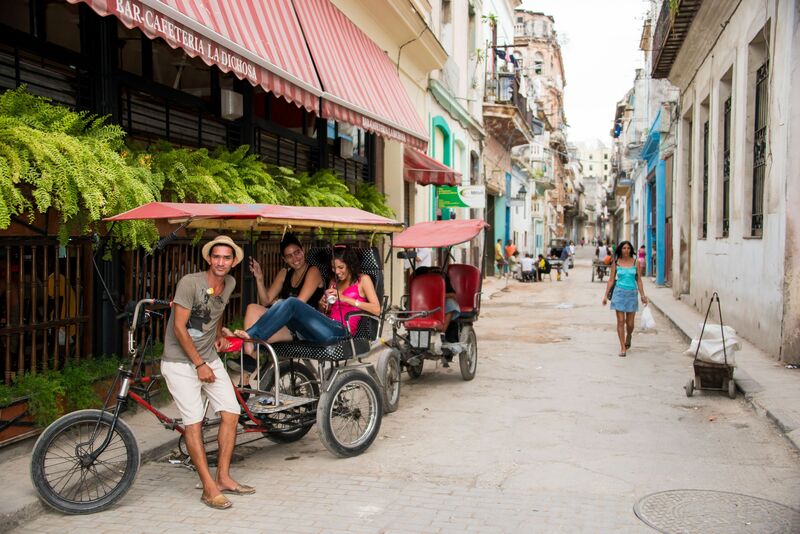 Bicycle taxis provide inexpensive transportation. 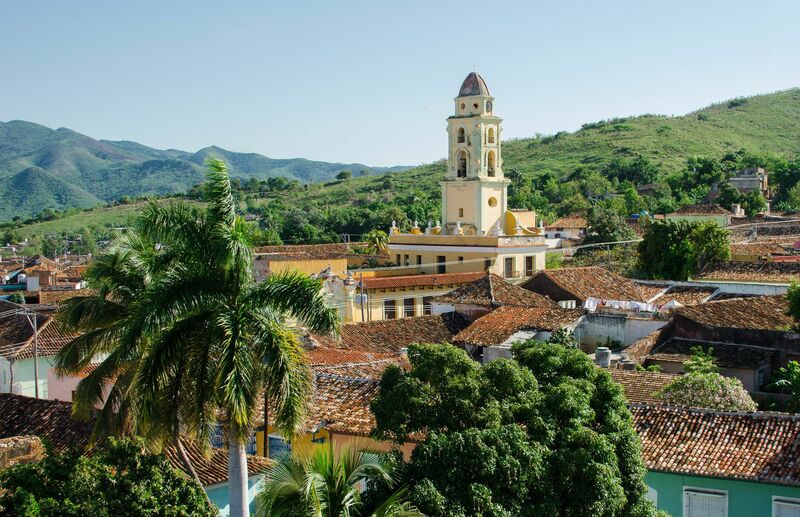 Trinidad, a UNESCO World Heritage Site, was founded in 1514. 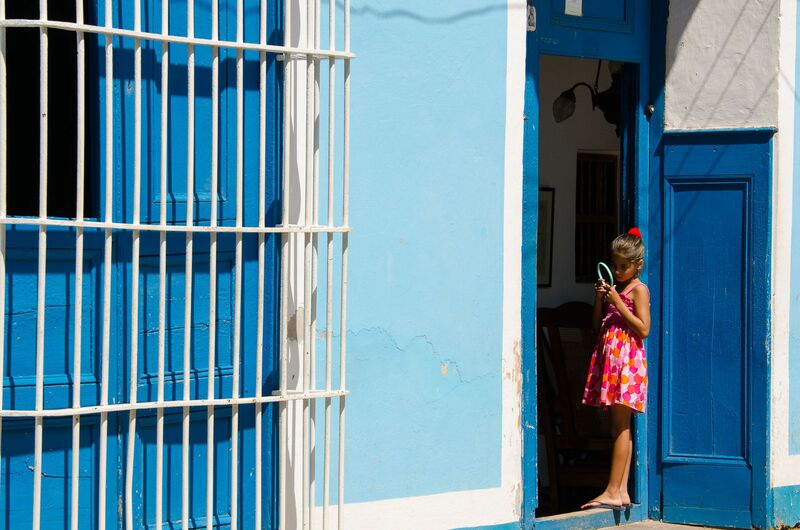 The young lady stands in the doorway of one of Trinidad's colorful homes. 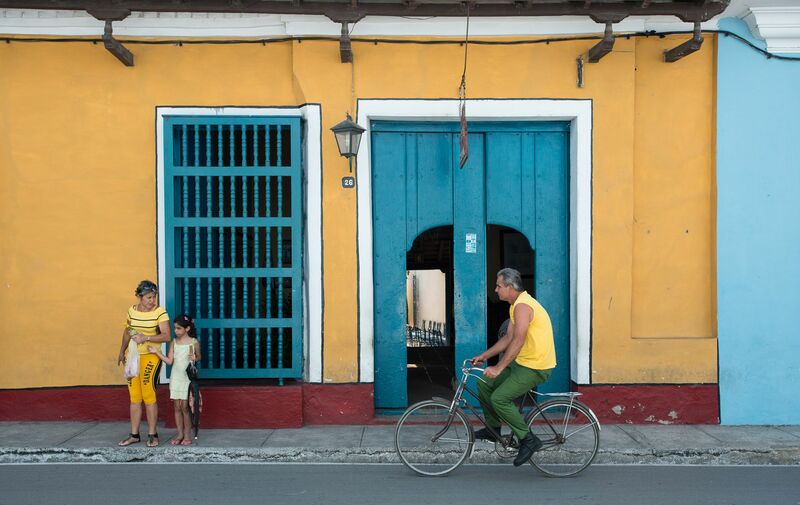 Bicycles are popular in Cuba's urban areas. 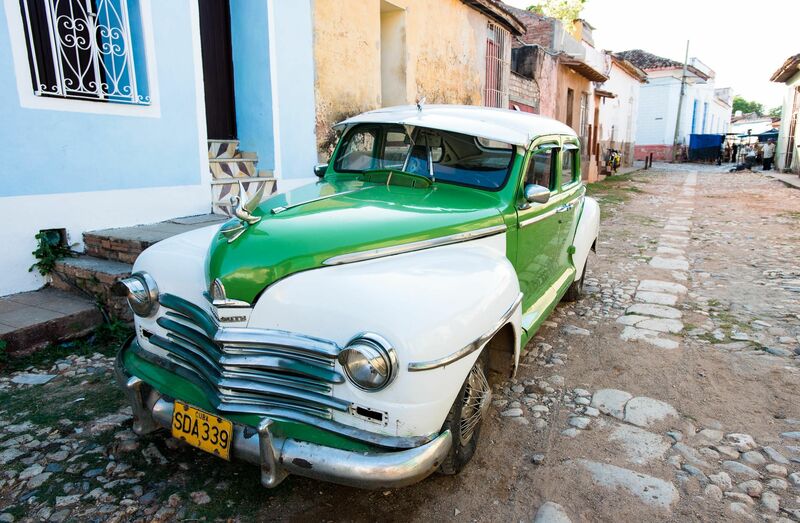 The car is a privately owned vehicle used as a taxi. 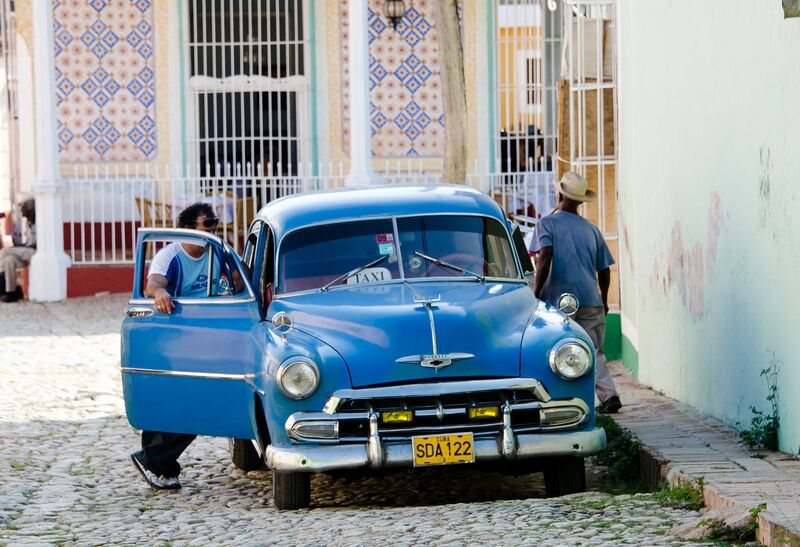 An American auto complements the pastel-colored facades of Trinidad. 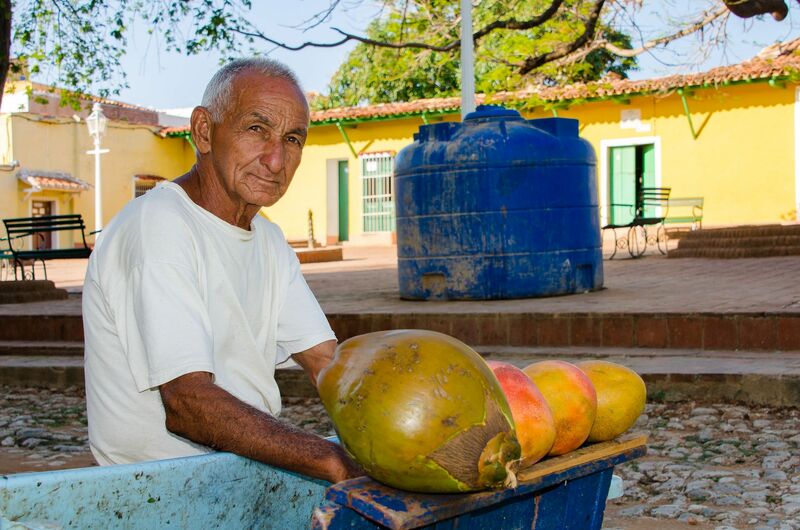 Many vendors work the streets in Trinidad and other Cuban cities. 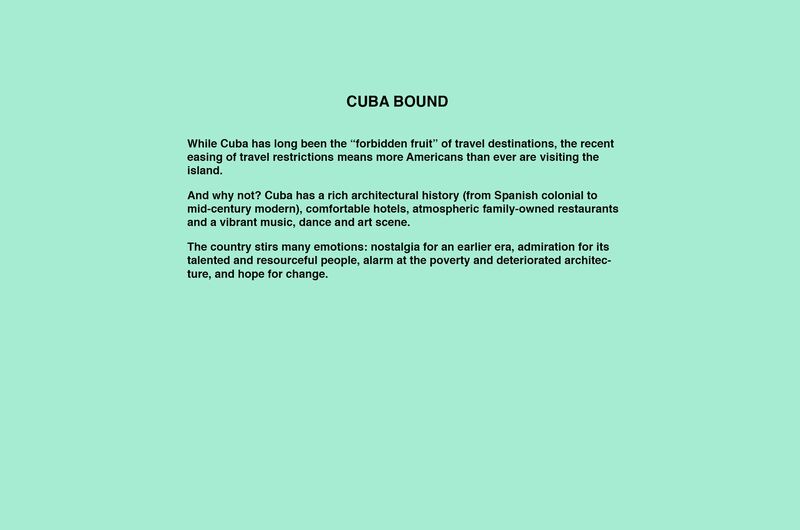 This couple suggest the warmth typically extended to Cuban visitors. 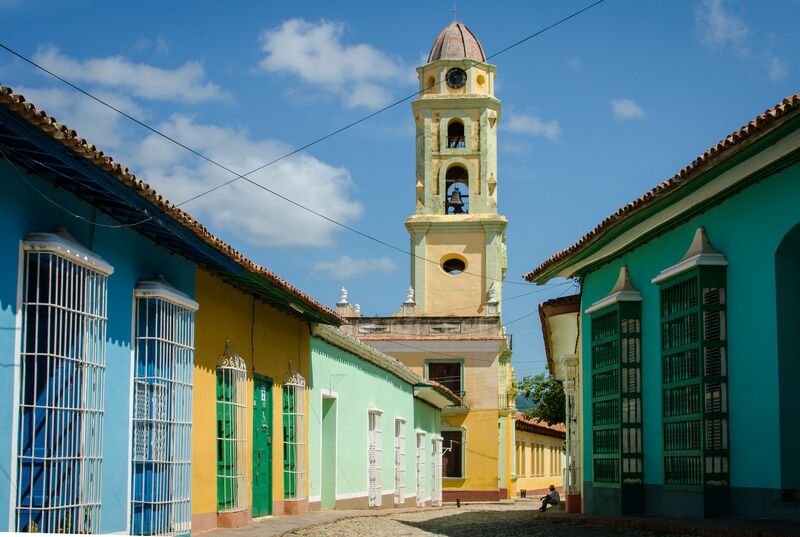 Trinidad is one of the best preserved historic cities in the Caribbean. 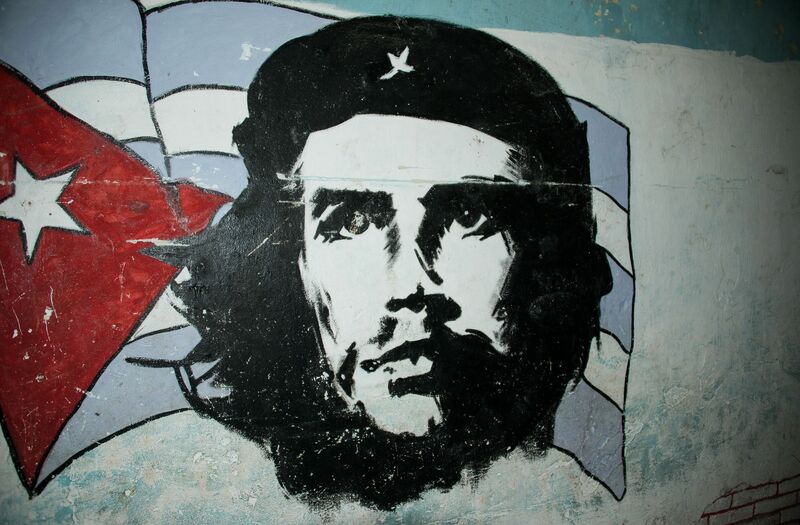 A key figure in Cuba's revolution, Che is still revered worldwide. 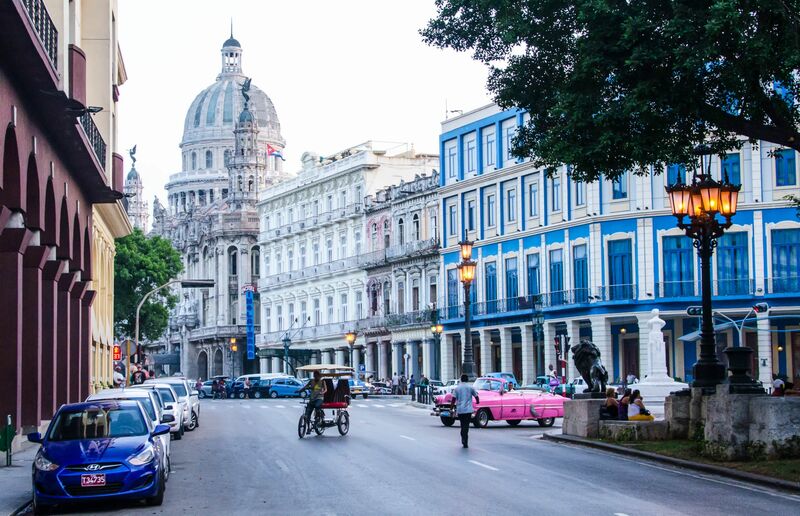 Public murals and paintings are plentiful in Havana. 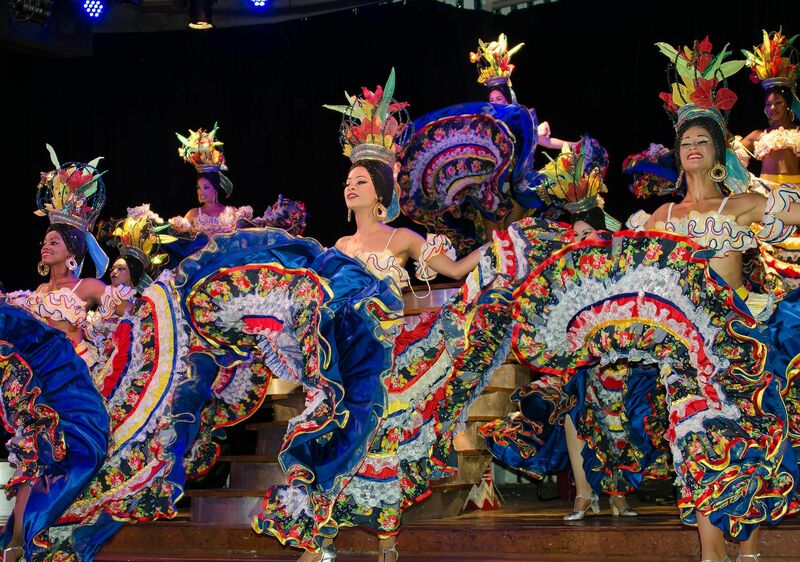 Dancers dazzle patrons at Havana's Cabaret Parisian. 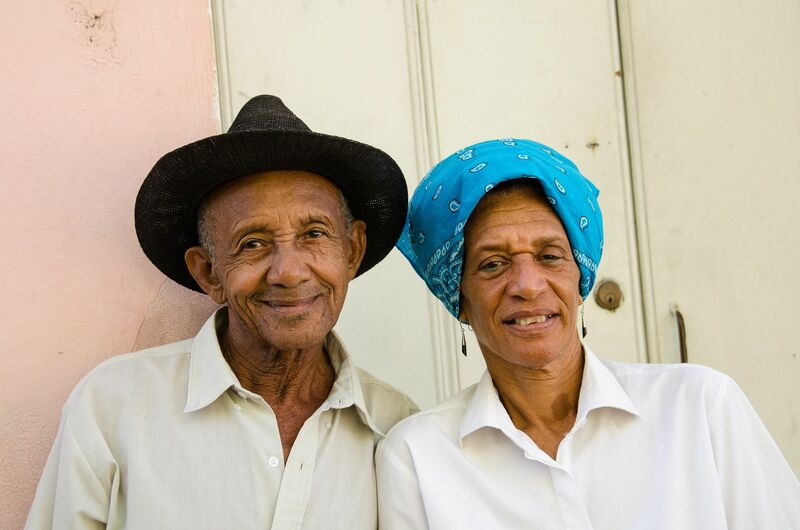 This couple demonstrates the expressiveness of Cuban dance. 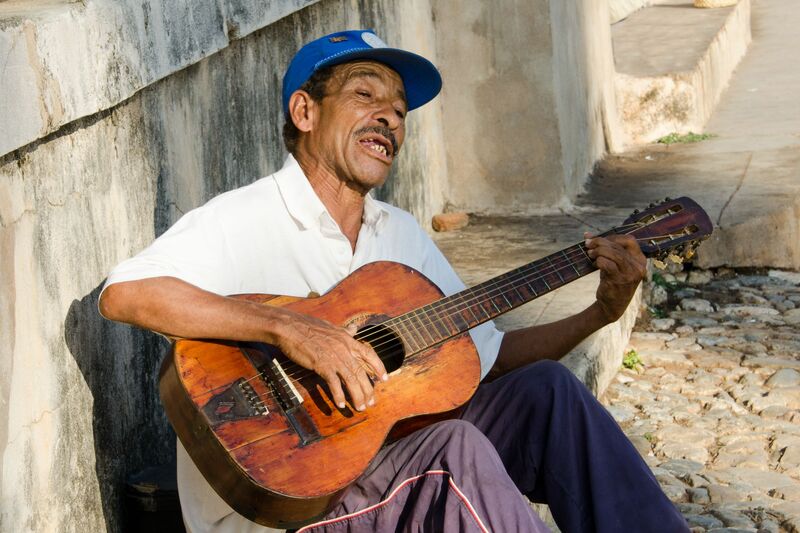 Street musicians are plentiful throughout Cuba. 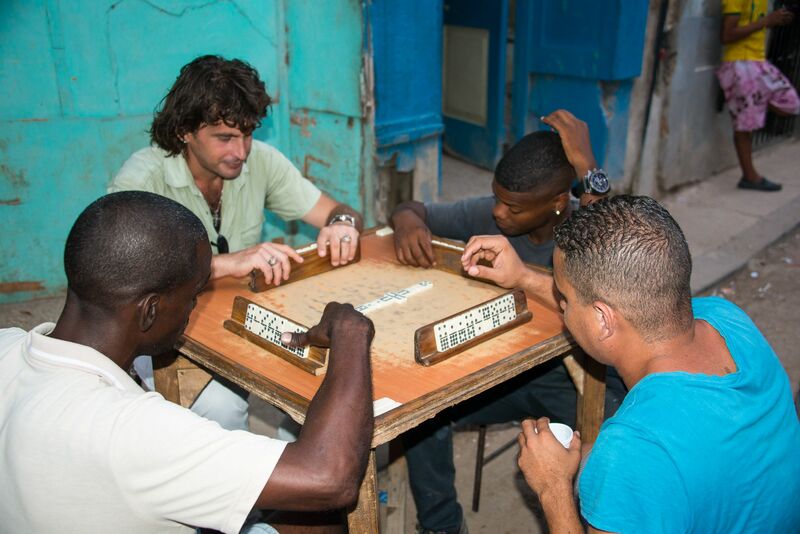 Dominoes, often in public, is a popular Cuban pastime. 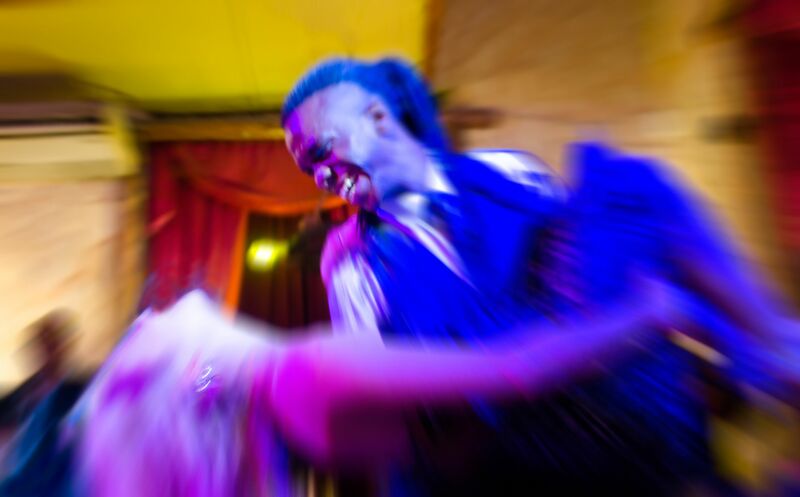 Popular salsa dancing incorporates teasing and sexual innuendo.